Contact Michelle to enquire about private onsite courses. This first aid course equates to the old St John or Red Cross Level 2 First Aid Certification. This accredited first aid course covers the skills required to perform CPR in line with ARC guidelines, including the use of an automated external defibrillator (AED first aid, or defibrillator machine). Other skills learnt on completions of this course include recognition and treatment of various medical and trauma conditions, so that you will be able to respond to an emergency with the goal of saving a life, reducing pain and injury until qualified medical help takes over. 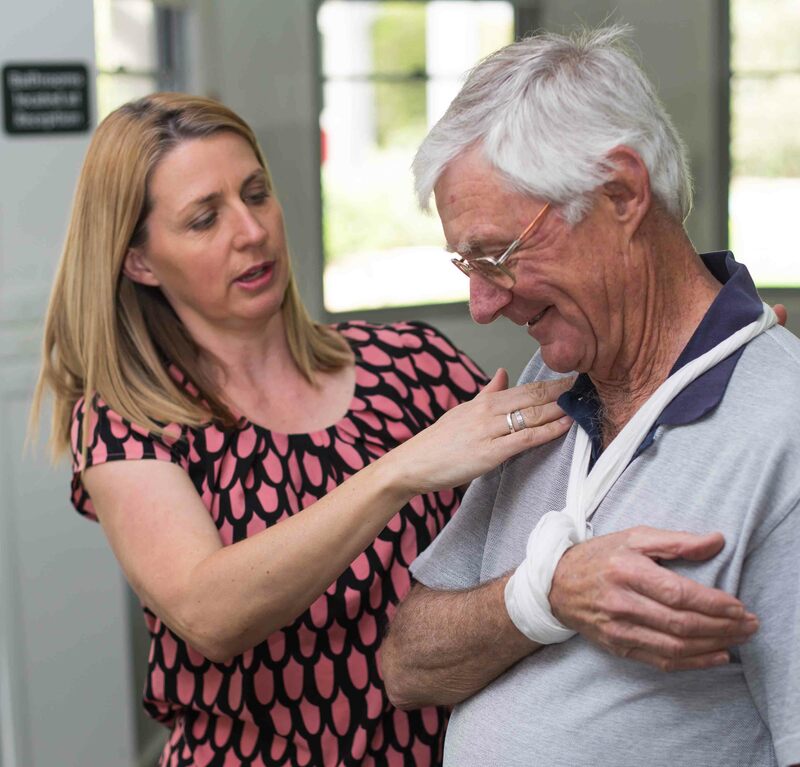 This first aid training course would suit those needing first aid qualifications, or a first aid update, or those needing to renewal their lapsed level 2 first aid qualifications. This course meets the legal requirements of the WorkSafe compliance code for onsite first aid officers. Course duration is 6 hours with an additional online component to be completed prior to the first aid training.